BELGRADE, SERBIA. 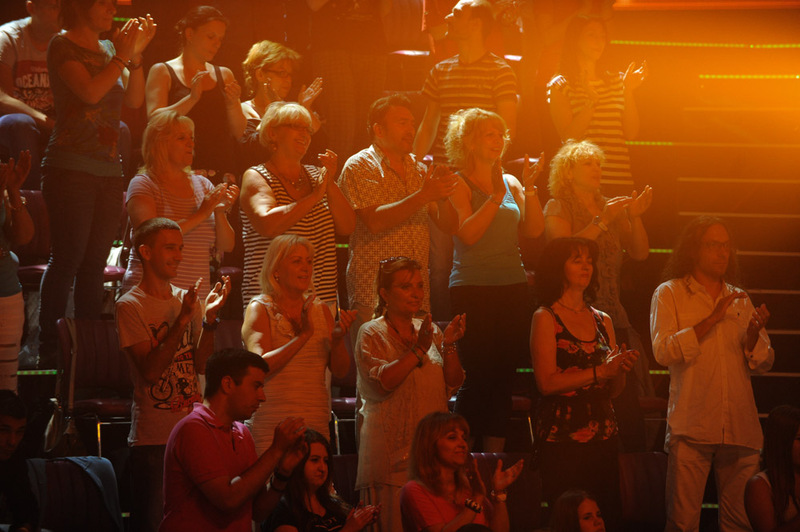 Members of the studio audience applaud their favorite stars turbofolk hits on the set of "Zvezde Granda," or "Grand Stars," a premier turbofolk showcase on Serbian television station TV Prva, on July 1, 2015. Members of the studio audience are paid 500 dinars, approximately $5, a day for their role and participation in the tapings which last for hours.